The results indicated that high, compared to low CNS Omegawave […], were associated with increased CMJ […], Power […], Omegawave Overall Readiness […], and Omega Potential […]. The present study implies that the use of HRV and DC potential are effective methods for monitoring stress levels in athletes. This was evidenced by the significant differences observed in vertical jump, vertical power, broad jump, and aerobic efficiency between experimental groups.. The main finding was that 3000-m running performance improved only in the HRV-guided training group over the 8-week intensive training period, by performing less moderate and high intensity training sessions compared with predefined training. We actually code the entire list of players by red, yellow, and green as per their Omegawave. I can say that Omegawave was a critical piece this season in helping us win the national championship. 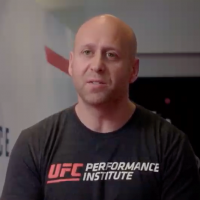 We’ve been looking for a tool that can support UFC athletes and help them better understand how their body is responding to the rigors of training, so they can prepare and recover optimally. For us, Omegawave is that answer. Our recent posts have covered such concepts as readiness of the central nervous system and DC potential; we have also investigated three possible scenarios of DC potential curve. Now we’ll have a look at the main factors causing CNS to drop; for every factor we’ll suggest possible recovery actions. Also, we remind you: REMEMBER TO ALWAYS LOOK AT ALL FUNCTIONAL SYSTEMS TOGETHER TO GET THE FULL PICTURE! 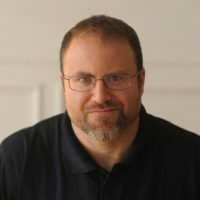 DC potential analysis -let’s look at three possible cases. - From the standpoint of CNS Readiness, athletes with this type of result are optimally ready for any kind of activity, volume and intensity. - Take into account other functional systems (cardiac, energy supply and muscular systems) in order to have a more complete picture of what the athlete can do. - If the stabilization value is within 9mV - (-15mV), lower yellow zone, the CNS adaptability is still satisfactory and moderate to low intensity load can still be applied in terms of endurance type training. However, you should avoid doing explosive, speed and heavy strength work. - In skill development, only drills with reduced level of complexity can be advised. No maximum efforts or complex movements. - If the stabilization value is below -15mV, lower red zone, the body’s ability to adapt and compensate for the environment is inhibited and any kind of technical, skill or explosive work is not recommended at all. - If the stabilization value is within 42mV - 55mV, upper yellow zone, you should avoid doing maximum effort explosive, speed and strength work. Conditions for endurance training with simple motor patterns are still good. - If the stabilization value is above 56mV, upper red zone, the body’s ability to adapt and compensate for the environment is inhibited and any kind of technical, skill or explosive work is not recommended. 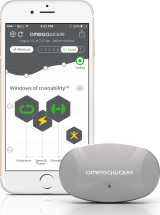 The Omegawave system helps me to make your training smarter. 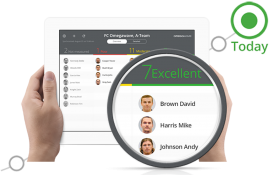 Every athlete who joins the Kraftwerkstatt will be assessed with this system. Let's look at optimal case when DC recording stabilises within an optimal range (10-42 mV). • From the standpoint of CNS Readiness, athletes with this type of result are optimally ready for any kind of activity, volume and intensity. • Naturally, you still have to take into account other functional systems, such as, cardiac, energy supply and muscular systems in order to have a more complete picture of what the athlete can do. Are you interested in looking into Hypoactive and Hyperactive cases of DC Potential analysis? Let us know! What is DC potential and why does any athlete and coach need to know about it? 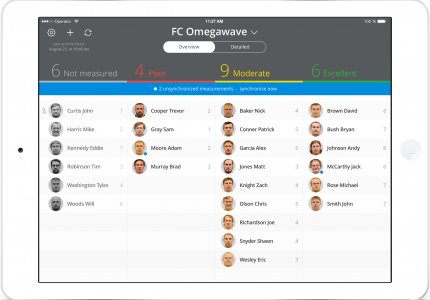 Why wouldn't Omegawave just use HRV analysis? Omegawave measurements (combined analysis of HRV and DC potential of your brain) give you the full picture of your readiness and your recovery. In our next posts we will look into DC potential analysis and its application in your training. JRE MMA Show 60: Joe Rogan, Dr. Duncan French, Forrest Griffin and Clint Wattenberg discuss Omegawave, Windows of Trainability approach and DC Potential. 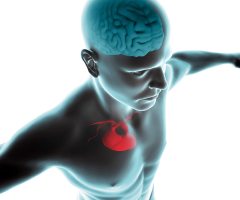 If you are new to Omegawave, it goes beyond HRV analysis and measures your brain as well. Based on your measurements' results you can see your sympathetic and parasympathetic balance and plan your next training and recovery according to it! Nutrition tips in case of parasympathetic dominance - let us know if you find it useful! Today we continue with some recommendations in terms of passive intervention . Save the post for future and tag your friends who might need it. With Omegawave you will be aware of your current functional state, stress resistance and recovery pattern. Let's have a look at the main factors causing CNS to drop; for every factor we’ll suggest possible recovery actions. JRE MMA Show 60: Joe Rogan @joerogan, Dr. Duncan French @dr_duncan_french, Forrest Griffin @forrestgriffin and Clint Wattenberg discuss Omegawave, Windows of Trainability approach and DC Potential.